Welcome to Bear & Bug Eats! I’m Katie Burroughs (the bug), and my husband Robby (the bear) is lurking somewhere around the corner. I’m the primary writer and photographer; Robby is the sommelier and mixologist. Bear & Bug is a place where we explore wine pairings, on-trend cocktails, easy weeknight meals, and fun desserts. We make a lot of mistakes and make them better, and when in doubt, add bacon. The two of us have very different cooking styles. I get impatient if a recipe takes too long and if I lived alone, would probably exist on endless variations of mac ‘n’ cheese. Robby loves cooking for the art of it and enjoys complicated French techniques. I love Chinese and Italian best; he likes Mexican and trendy foods. He’s studying for Sommelier Certification; I fall off of chairs when I drink. We love exploring the growing food scene in our hometown of Orlando, Florida. We hope that you enjoy what you read here! We’d love to hear from you in the comments, on Facebook, Instagram, or Twitter! 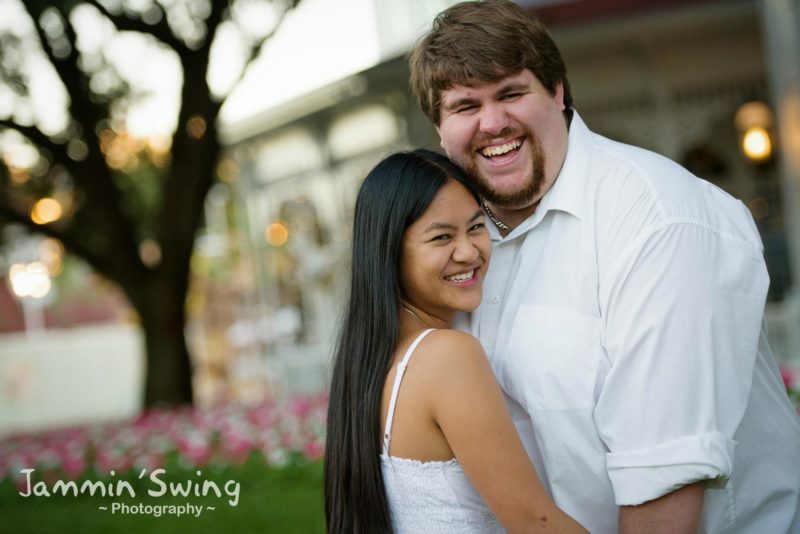 Photo is from our engagement shoot by Jammin’ Swing Photography; logo is by Seals Creative. I love to work with great brands! Contact me via any of the above methods or at EatwithBearandBug@gmail.com. Previous partnerships have included Food Wine Conference, Intensity Academy, and Sunday Supper Movement. Bear & Bug Eats is licensed under a Creative Commons Attribution-NonCommercial 4.0 International License. This means that the content on this website may be adapted for non-commercial use, as long as you credit Bear & Bug Eats. Think that’s cool? Check out Creative Commons for more info.